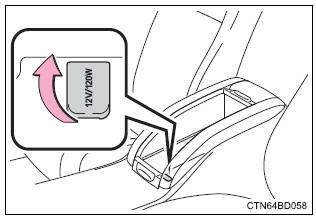 Open the console box lid (→p. 447) And open the lid. 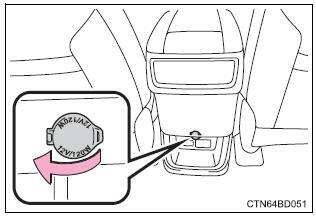 Vehicles without a smart key system: the engine switch is in the "acc" or "on" position. 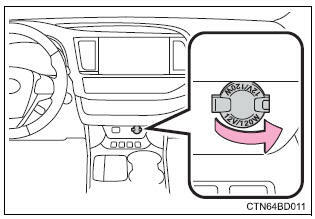 Vehicles with a smart key system: the engine switch is in accessory or ignition on mode. Close the power outlet lids when the power outlets are not in use. Foreign objects or liquids that enter the power outlets may cause a short circuit. Do not use a 120 vac appliance that requires more than 100 w.
If a 120 vac appliance that consumes more than 100 w is used, the protection circuit will cut the power supply. Do not use the power outlets longer than necessary when the engine is not running.